The reason the man ran into the fire is still unknown. 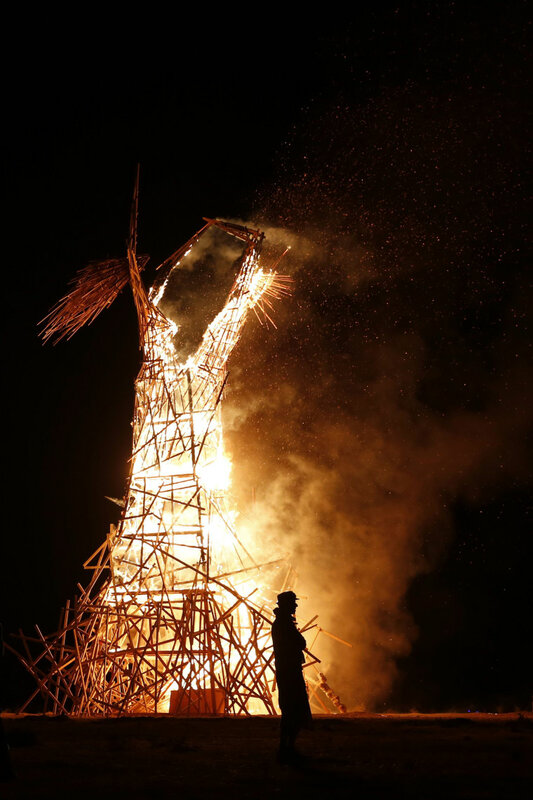 A man has died from injuries sustained from running into a structure engulfed in flames at the Burning Man festival in Nevada. According to the New York Post the man was being chased by firefighters when he ran into the flames. At the time this was published, the motives for why he ran into the fire remains unknown. According to multiple reports, the man broke through a human chain of security officers before he could reach the flames. The man was immediately airlifted to a burn center immediately, but medical professionals were unable to save his life.